With Roberto Martinez continuing to consider his transfer options, Japanese star Keisuke Honda is the latest named linked with the Blues. 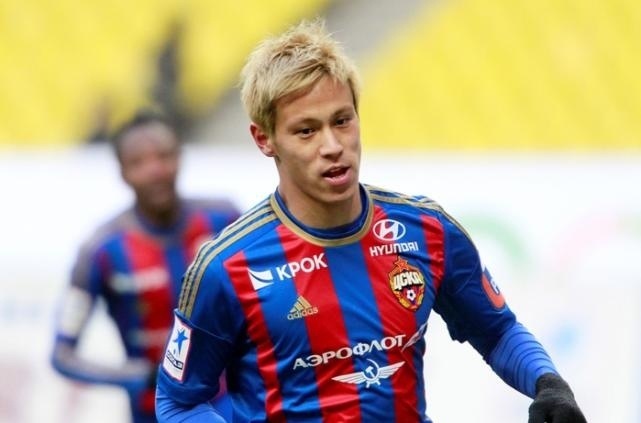 Honda has been playing for Japan in the Confederations Cup and Martinez will have taken the opportunity (he is currently covering the tournament for ESPN America) to run a close eye over the CSKA Moscow midfielder. Honda would be available on a Bosman free transfer in January, as he allows his contract with Russian side CSKA Moscow to run down and expire, but a fee in the region of £5m would secure his signature immediately. Able to play as either an attacking midfield player or as a central forward, Honda is highly sought after, with rumours linking him with a host of Europe’s finest clubs, including Italian giants AC Milan. After starting his career with Nagoya Grampus, the club Gary Lineker represented in Japan, he made the move to Europe, signing for VVV-Venlo in the Netherlands, representing the side in both the top two tiers of Dutch football. Honda scored 24 goals in 68 games for VVV-Venlo, which prompted CSKA Moscow to pay €6 million for the star of the Japanese side in 2010. Honda has been a huge success in Russia, establishing himself in the Russian Premier League and the UEFA Champions League. He is a set piece specialist and capped his second match in the competition with a brilliant free kick against Spanish side Sevilla helping CSKA to go on and reach the Quarter Final stage. Keisuke Honda came to the attention of the world during the 2010 World Cup in South Africa, scoring three goals and turning in two man of the match performances. He has an excellent record in international football, with a ratio of 1 goal every 3 matches. In total he has represented the Country of his birth 45 times scoring 15 goals. Honda would represent an excellent addition for Everton, especially considering his relatively low transfer fee. He is sure to be demanding a substantial wage, but would bring with him significant attention and coverage from Japan. He is an incredibly skilful player, but is not afraid to get involved in a physical battle. Have a look at the YouTube videos below to see what Keisuke Honda is all about, including a battle with Tim Cahill approximately 2mins 40secs into the first video. There is no chance of Everton getting him. He is a much better playmaker than Kagawa. Why should he go to an BPL mid table club? Don’t bother linking him, you will embarrass yourselves. He will be going to a top 6 club, you are showing alot of ignorance.